Fidget spinners have become very popular this summer season. All adults may not be aware of fidget spinner toys, but parents with young kids might be well aware of these toys. Fidget spinners have been favorite lately among school kids. Many schools have banned these toys recently to avoid distraction in the class. There are many different kinds of fidget spinners available in the market. They come with different numbers of blades starting from 2 blades through 6 blades. These blades are connected to a central core with metal ball bearing. Right now at the time of writing this post, fidget spinners are one of the best sellers in any retail convenience stores, gas stations, liquor stores or dollar stores. It is impulse product from which store owners can make money. 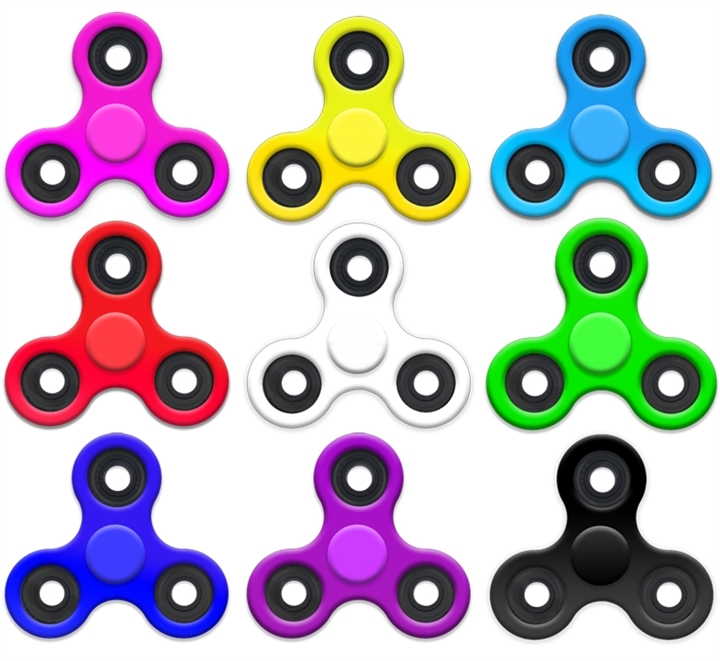 We carry different kinds of fidget spinners from regular plain color, glow in the dark fidget spinner, US Flags printed spinners, Camouflage fidget spinners and similar other variety. In my opinion, these toys are addictive, once you get hooked to spinning it on fingers you probably going to keep doing it for sometime. Buy fidget spinners wholesale and stack up more profit ! This entry was posted in Wholesale Products. Bookmark the permalink.